Last May, I had the opportunity to test drive the 2017 Genesis G80. After seeing this vehicle up close at the 2017 Washington Auto Show, I was thrilled to get behind the wheel! Fast forward 8 months, and I’m test driving the 2018 model. #WINNINGWait, do we still say that in 2018? 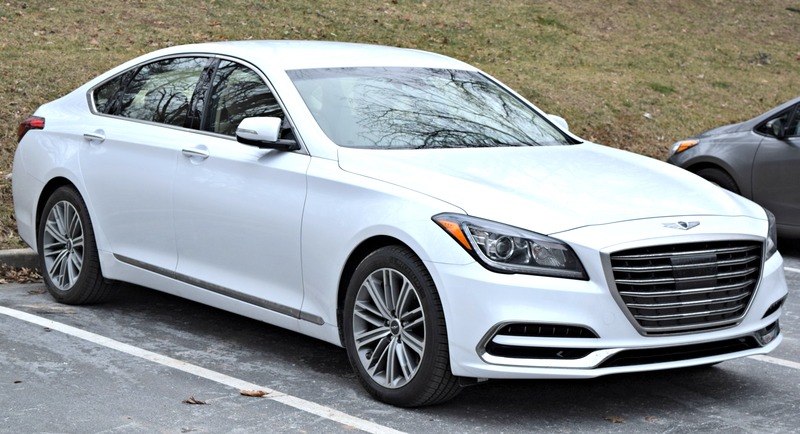 Either way, sitting in the driver’s seat of this Casablanca White 2018 Genesis G80 made me feel like a winner, for sure! 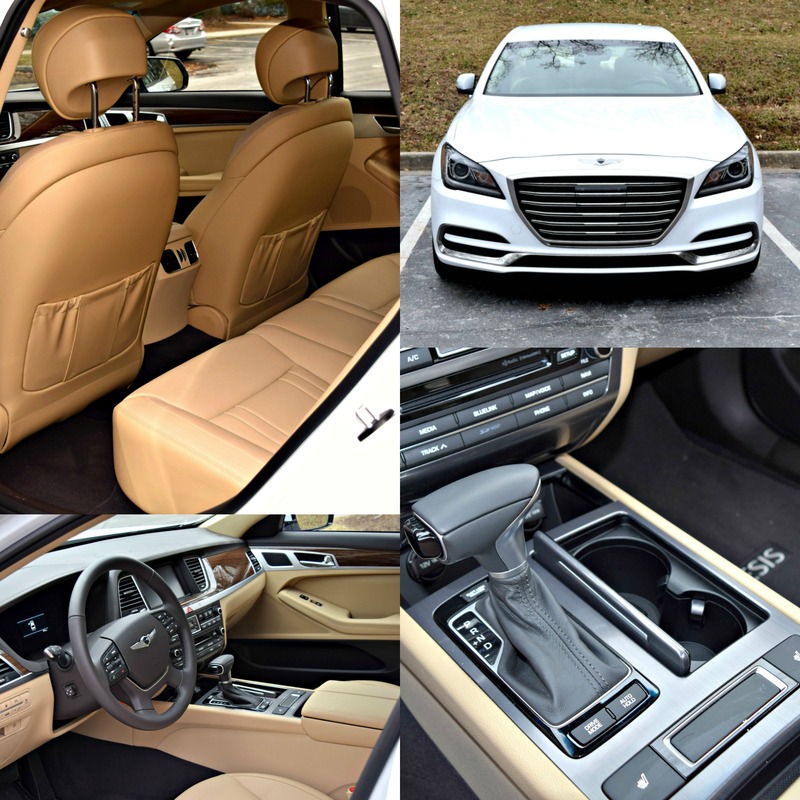 I describe this car as, “affordable luxury at its best.” From the Rain-Sensing Windshield Wipers to the Wood Grain Interior Accents, the 2018 Genesis G80 has everything you need, and more. The 2018 model comes equipped with a new Pedestrian Detection System. This feature watches people outside the car while the driver awareness system monitors the person behind the wheel. Another addition I noticed was the Integrated Memory System. The 2018 G80 remembers your personal comfort settings in the driver seat, with the exterior mirrors, the steering wheel, and with the Heads-up Display. They’re automatically adjusted to your stored preferences. I kept wondering why the seatbelt automatically got a tad tighter, in the driver’s and passengers seats, once I took off. Now I know! This sturdy eye-catching sedan drove over bumps and turned corners with such ease. I haven’t felt a smoother ride since I test drove the 2017 G80. 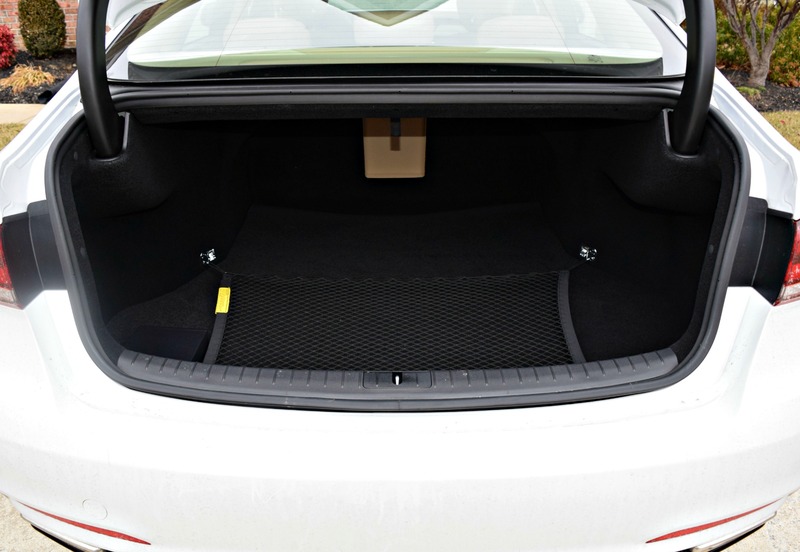 While I did notice the backseat and trunk measured a bit smaller than the 2017 model, the slightly smaller space(s) wasn’t an issue for me nor with my passengers. For even more exterior and interior specifics, as well as more safety features and the price, check out the information below. So tell me, what do you think about the 2018 Genesis G80? Let me know! That’s a beautiful car! I love, love the tan interior. Isn’t it?! The interior is my fave! My favorite part is the lovely interior color on this car! Nice ride, love the fancy interior and all the bells and whistles! You’re absolutely right about bells and whistles. This car has them all, lol!